The property is a vacant site comprising approximately 1.1 hectares (2.8 acres) of former industrial land. Design quality is very important to our client who will favour imaginative developments of a high standard of sustainable design that must fit in with the client’s indicative mixed use master plan vision for the Innovation Quarter, aimed at creating an urban quarter with a strong sense of place as set out in the Strategic Brief: Guide for Bidders. The site is offered for sale by way of an informal tender on the basis of the terms and conditions set out in the Strategic Brief: Guide for Bidders. Tenders are to be submitted in the manner prescribed within the brief and delivered to the Head of Legal Services, The Vale of Glamorgan Council, Civic Offices, Holton Road, Barry, CF63 4RU in an official tender envelope by 12 Noon on Friday 24 November 2017. The purchaser will be required to pay the Council’s reasonable legal and surveyor’s fees up to a maximum of £5,000. Barry is a coastal town approximately 14km (9 miles) southwest of Cardiff. 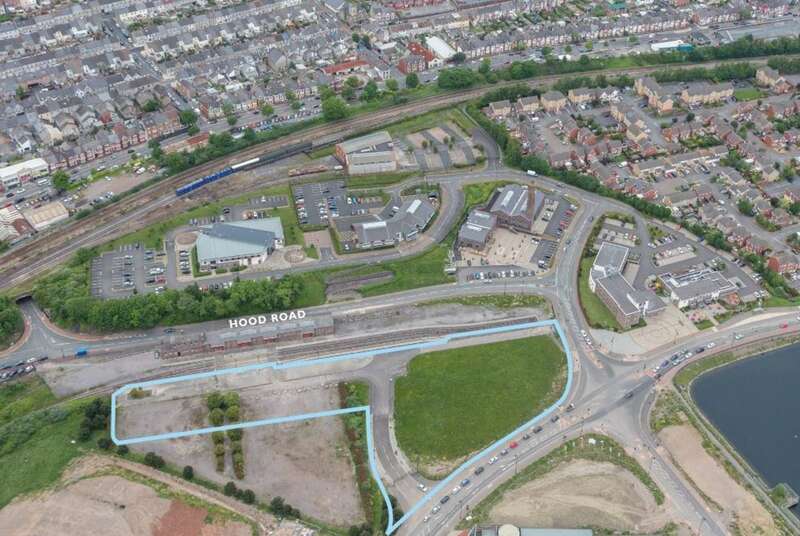 The site occupies a prime location at the heart of the Innovation Quarter, a 19 acre mixed use development, south west of the town centre within the Barry Waterfront regeneration area. The site is strategically situated at an important highway junction on the main spine road which connects the Waterfront to Barry Island seaside resort. Nearby occupiers include an ASDA supermarket, Premier Inn, Brewers Fayre restaurant, the award winning Grade 2 listed Hydraulic Pump House conversion, the Business Services Centre and the West Quay Medical Centre.